Aspiring candidates may apply online through the website https://kmatkerala.in from 05th March 2019 to 31st May 2019, 04.00 PM onwards. KMAT, Kerala that is Kerala Management Aptitude Test is the exam that is conducted by Cochin University of Science and Technology (CUSAT) on the behalf of all the Universities of the State. This KMAT, Kerala Exam is conducted under the supervision of Admission Supervisory Committee. This exam is basically conducted as a gateway to admissions to different MBA courses offered at 10 different districts of the state. This exam is conducted twice a year for the MBA aspirants in the state. This is one of the prestigious state level entrance exams for the MBA aspirants. 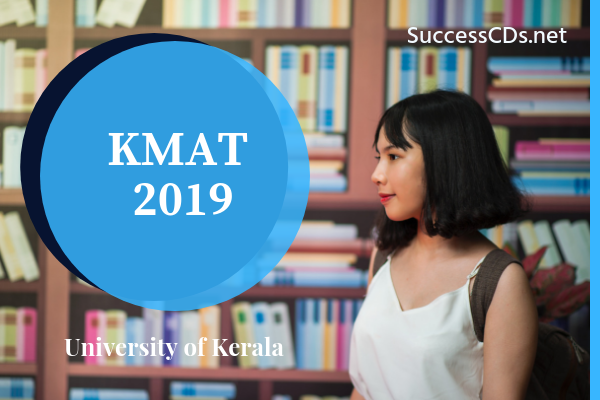 KMAT Kerala 2019 will be held for admission into two different sessions, February session and June Session. Here we have covered KMAT Kerala 2019 June Session. Candidates who are willing to apply for the KMAT Kerala 2019 must ensure that they will be eligible as per the norms of the conducting body. In all the cases the student should have passed the degree examination with not less than 50% marks/equivalent grade (no rounding off allowed) in Part III /core plus complimentary in BA, B.Sc., B.Com. etc., or 50% marks/equivalent grade (no rounding off allowed) in aggregate in case of B.E/ B.Tech., B.Sc. (Agri.) and other 4/5 year degree courses. Candidates, who have passed MA/M.Sc./M.Com. or any other PG Degree recognized by the University of Kerala with 50% of marks/equivalent grade in aggregate, are also eligible for admission. SC/ST candidates shall be given relaxation as per University rules. Candidates who want to take admission for KMAT Kerala 2019 MBA will have to go through the three stages for selection procedure, i.e., Entrance Examination, Group Discussion, and Personal Interview. The ratio of all the three stages will be 80:10:10 of the admission process. The candidates will have to pay the required application fee and complete the online application form by entering all the correct details along with the uploading of the scanned images of photograph and signature. Rs. 1000/- (for general) and Rs. 750/- for (SC/ST).